How do you make decisions? Most people claim they make decisions rationally. The truth is, we decide with emotion and justify our decisions with logic. Have you been to Starbucks this week? Why did you choose Starbucks and not the cheaper cafe next door? It’s not because of better coffee or friendlier staff, but the feeling Starbucks sells along with its drinks. Modern design and fancy names, the social acceptance you get from your visit because all the cool kids go there, and the reassurance that you get the same product wherever you go are what makes Starbucks influential. To be successful in today’s business world, you need to sell more than just the product. You sell feelings that come with the purchase, the upscale position it puts your customers in and the emotions it evokes in them. You’re selling a dream along with your product - to help customers become a better version of themselves. 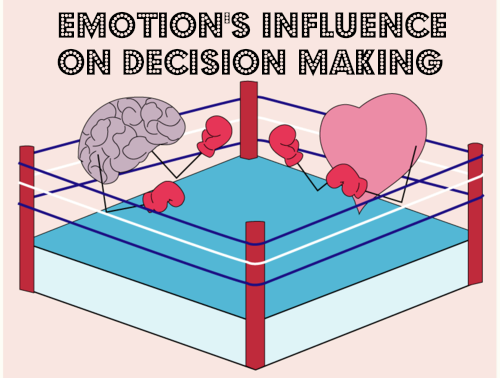 To be successful, you want to make use of your prospects' emotions' influence on decision making. Emotional selling marks the difference between average businesses and top companies. Emotional selling means arousing emotions in prospects to persuade them into buying your product. Every decision we make is influenced by emotion. According to Peter Noel Murray, when you’re facing a decision, feelings from past experiences will create bias in your choice. This is because our brain’s limbic system constantly looks for positive feelings. Hence, if we associate positive or negative feelings with a certain event, our brain will either lead us to make the same decision again, or refrain from it. Achievement/Status: People like the feeling of accomplishment. Personal status is a primary motivator for a purchase. Customers want a product that makes them look good. Cars, for instance, are great status symbols. You are what you drive and your neighbours are more likely to look up to you with a BMW X5 parked in front of your house than a Ford Fiesta. Both are great cars but one suggests you have a lot more to spend on your vehicle. To evoke feelings of achievement you could ask why the customer's interested in buying your product (e.g. make good impression on boss) or outline the monetary return for the buyers. Does your product save your prospects time or money? Subtly use that value as a selling point. Power: Mankind has always had a natural desire to be better than others and outperform rivals. Even though blowing out someone else’s candle doesn't make yours shine brighter, appealing to their desire for superiority is flattering for some prospects. Use power to seduce your prospect by pointing out how your product will help them outperform competitors. Fear: Fear can be a strong impulse towards action. In sales, fear refers to missing out on a good opportunity. Communicating the cost of inaction is the best way to point out the customer’s potential disadvantage in the market place. Use fear wisely, since improper or excessive usage will be perceived as threatening by the prospects and will give you a bad reputation. Happiness: Using happiness to sell is more common in B2C sales than in B2B, because people buy products for their own benefit and not the firm’s. Nevertheless, happiness should not be ignored in either type of sales. Customers love buying easy-to-use products that create pleasure in their lives. Look at the iPhone, for example. Is it technically better than an Android? No! Is the design more aesthetic? Depends on your taste. And yet there are people camping in front of the Apple store days before release. Why? Because the iPhone offers you an experience, along with a brilliant camera and modern design. Social acceptance comes along with the iPhone price tag. This allows Apple to charge above-average prices for a regular phone - and their customers love it. Keep in mind that your words, clothes and manners will arouse emotions - positive or negative - in the prospect’s mind and potentially ruin your sale. Emotions often connect to past experiences, thus, if you look like the prospect’s crazy ex or speak like their least favorite math teacher, your chances of making the sale decline dramatically without you even knowing. Instead of focusing on features, focus on selling the experiences and feelings that arise from using your product. Point out how your solution adds value to your prospects’ lives while helping avoiding inconveniences. How does your product change your customer’s life? Use passion to communicate value to your prospects. Show them why you believe in your product and that you stand by it 110%. If you trust your solution, your customers will do the same. Remember, you usually only have a few minutes with a prospect to convince him, so use your time wisely. Reassure your prospects your product is the best option in the market because of the value it brings into their lives. Help them discover what feels right instead of telling them what is right. Emotions can be tricky and hard to read, which makes emotional intelligence all the more important. Emotional intelligence, according to Psychology Today, “is the ability to identify and manage your own emotions and the emotions of others”. You need to be able to understand your prospects’ character and feelings if you want to sell to them. Nothing worse than infuriating a customer, right? Emotional Awareness: Be able to understand your emotions and, more importantly, your prospect’s emotions. Identify their feelings, what your words evoke in them and what triggers their emotions. This means reading body language, facial expressions and speech patterns. Manage Emotions: Frame your emotional strategy to lead prospects in the right direction. Understand the emotional approaches they are prone to and develop a strategy around them. Figure out their feelings on competitive disadvantage, status, or need for happy experiences. Help your prospects discover that your product is right for them and a good solution to their problem. Emotional intelligence is distinct from logical reasoning ability or linguistic skill, which are what an IQ test evaluates. It's easy for us to see that some people, especially someone with Asperger's Syndrome, can be remarkably good at solving logic problems, and yet have to put extraordinary effort into understanding social customs, interpreting social cues, or managing their own emotional responses. Consistency is key in approaching your customers. Within seconds you need to select an emotional strategy suitable for your prospects and stick with it. Don’t try and trigger every emotion at once. If anything, it leaves your customer confused and unwilling buy. Figure out how you can effectively convince your prospects. To play on the right emotions, conduct research on the prospects up front. This helps you understand which approach they are most vulnerable to. Is your prospect known for being vain or super ambitious? Trigger feelings of achievement. Do they face the threat of a competitor? Communicate the costs of inaction. Badger Maps helps you sell to your prospect’s emotions. The app saves you time by scheduling and optimizing your routes for you. The newly freed-up time could, for instance, be used to conduct research on your customers to figure out an appropriate emotional selling strategy. Don’t waste any more time on routing but start dedicating it to the customer! Have you noticed anything extraordinary about a customer, such as high self-esteem or fear of competition? Put it down in the notes section of the Badger app. Once you meet with the prospect again you can refer to your records and use the information to make the sale. You will be more trustworthy, if you are better organized. Being capable of good time management and working efficiently, you’re a good fit for your prospect’s problem. In other words, your sale comes into reach. 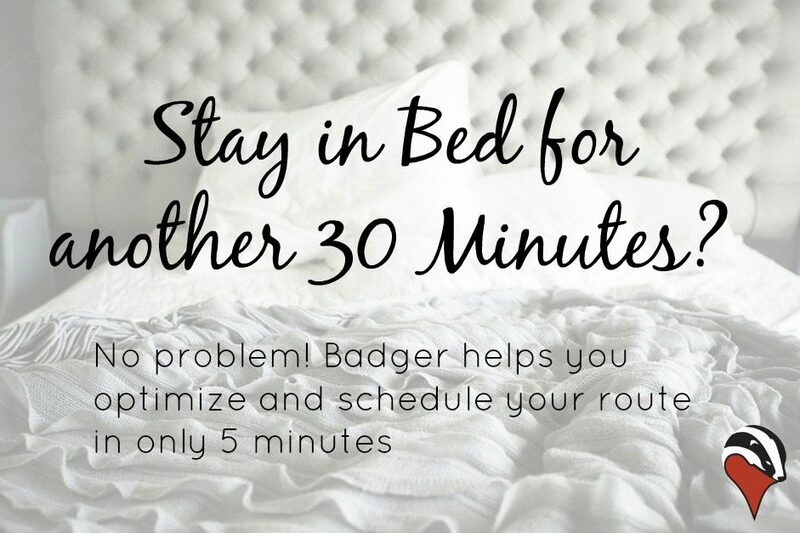 Badger Maps allows you to do all these things and more. Use Badger to benefit from emotion's influence on decision making and sell to people's feelings.